In this book Patrick Hegarty summarises the key principles gleaned from helping 1000's of people transition into new vitality and fruitfulness in their faith. By understanding the evolving partnership you have with God, you can unlock your next stage of personal growth and impact in the world. The Rhythms of Grace are powerful and simple ways to engage with God that unlock the next step in your spiritual journey. In this book you will learn how to more profoundly experience: FAITH: Learn how to rely on God more fully by activating the rhythm of SPIRIT & TRUTH. HOPE: Overcome sin, and live from the power and perspective of heaven by fully understanding how to REPENT & BELIEVE. LOVE: Bear lasting fruit in your life by abiding in Christ through the rhythm of FAITH & DEEDS. You can't live out an IMPOSSIBLE calling in your own STRENGTH. If you want to grow you will need a new rhythm! Every part of the Christian life is impossible to attain without God's help. And yet we remain largely ignorant on how to engage with His grace and power. Our relationship with God evolves, and so we must emphasize different aspects as we mature in our journey. The faith, hope, and love of today will not be enough for your tomorrow! This book gives you the simple keys to unlock each phase of your walk with Christ. If you want to grow you will need a new rhythm! This book is a great way for CHURCHES and GROUPS to highlight and launch spiritual growth. Use it as a church-wide campaign! More detailed resources and courses are available online at www.Hegarty.com.au. 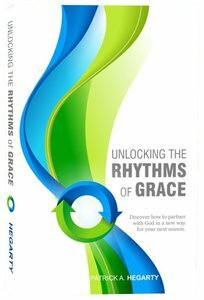 About "Unlocking the Rhythms of Grace"